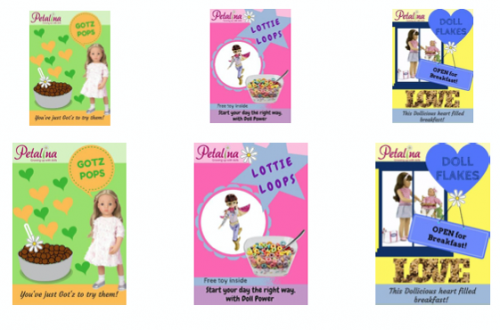 The range of Gotz Hannah dolls has been one of Petalina’s best selling ranges since our launch in 2006. Every January we look forward to the Gotz catalogue arriving so that we can see what the Hannah dolls will be like in the new collection. Each year some dolls stay the same but there are always new dolls being introduced to keep things fresh and exciting. Each doll available in the range is dressed according to her particular interest or activity whether ballet, riding, hair styling, clothing design, dogs or having a birthday, and each of the dolls comes with either extra clothes or some accessories all displayed beautifully in a large presentation box with a carry handle – perfect for a gift. Each of the dolls is available with a set hair and eye colour combination which always creates lots of debate about which doll to go for. The white dolls have either blue or brown eyes and the hair colour can be blonde, brunette or red, and the dolls with dark skin have brown eyes and black hair. As of 2018 some of the Hannah dolls have new stone-grey eyes. Hannah is a 50cm all vinyl doll made using high quality phthalate free vinyl. She is one of the most beautifully sculpted dolls available today and was designed for Gotz by Hildegard Gunzel, a world renowned doll artist. Everything about Hannah is so realistic. Her face is really pretty with rounded cheeks and full lips subtly painted. Each arm is slightly different with one slightly more bent and the fingers differ on each hand too. One of her knees is slightly bent giving her a very natural appearance, plus her feet are also foot shaped and don’t have flat soles like many other dolls. Her body is based on the shape of a 8 or 9 year old girl and is realistically sized with a rounded tummy. Hannah is one of the most flexible dolls for posing, because her arms and legs are fully articulated so they can be moved in all directions and then they just stay in position, which is brilliant. Hannah dolls have rooted hair, and my girls and I have found Gotz hair to be really good quality too – it just doesn’t end up frizzy like the hair of cheaper dolls on the market. Hannah has blonde, brunette or red hair, with various partings and sometimes with a fringe, or bangs. 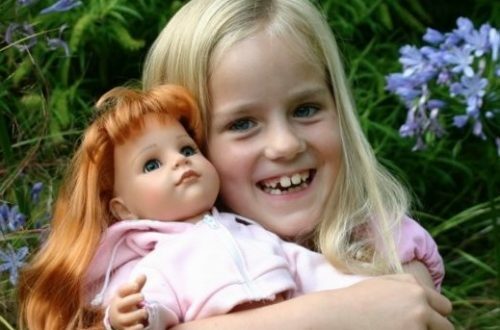 A Hannah doll with plaits always has longer hair than all the others. Hannah’s hair can be washed and styled too which many girls will love. Her sparkly eyes are made from acrylic glass and are incredibly realistic. They are fixed in position, so don’t close, with long eyelashes attached to the top eyelid and painted lashes on the lower lid. She really is gorgeous! The other wonderful thing about Hannah is that Gotz are continually adding to the range of dolls clothes and accessories that are available for her. For younger girls from age 5 there are fairy and princess sets, ballet sets and pretty dresses, and for older girls there are riding outfits, ski sets and lots of more grown up stylish clothes. And, there are hair styling sets, bicycle seats and helmets, furniture and the popular horses, so plenty of things to add to the whole doll play experience. Gotz Hannah dolls can share lots of clothes from other makes too. 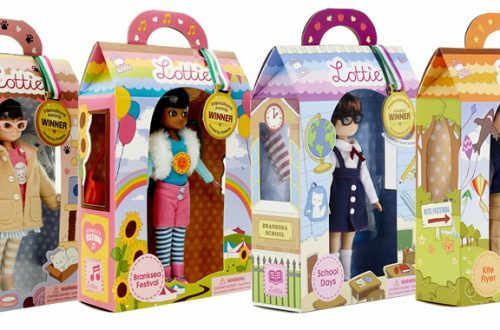 For example, the Petalina Girl range has been designed to fit them, and most Bonnie and Pearl dolls clothes work well too. Some American Girl clothes and Our Generation clothes fit but mostly they tend to be a bit roomy as both AG and OG dolls have much wider bodies than Hannah dolls.